Let’s face it – I am addicted to travel. I mean totally addicted. So bad that I am planning my next trip before the one I am on is over. Do I want help? No thanks – no intervention necessary here. Different countries, different cultures, amazing history – creepy crawlies – Love them all! Do I have a favourite place? Just about everywhere in the world is my favourite. From the dry river beds of Sabi Sabi game park to the coral seas of Aitutaki in the Cook Islands, the delicious excesses of Vegas to the damp mossy smell inside the tumbled down stone church Gallarus Oratory, Dingle Ireland -I love them all. There was only one difficulty with, well, my “little problem” and that was how to finance my craving. As you might be aware addicts are extremely cunning and manipulative and so it was that I ended up working in the travel industry. My past travel history was very useful in my new career. I had travelled throughout Southern Africa, the Indian Ocean islands, Europe and Britain and this first hand experience was always welcomed by my clients. I have enjoyed all aspects of the African bush – from camping in a small two man tent in the middle of the bush – with no fences – right up to the finest in luxury lodges. 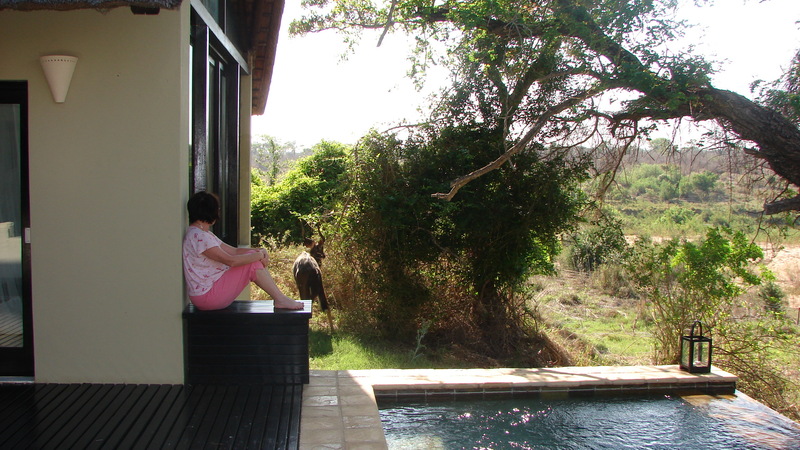 Most recently I visited the gorgeous Ivory Lodge at Lion Sands Game Reserve in South Africa. So I knew Southern African pretty well but now I had a whole new territory to carve out – the Caribbean, North America, Hawaii, Australia, New Zealand….. the list went on and on and the more I got the more I wanted. 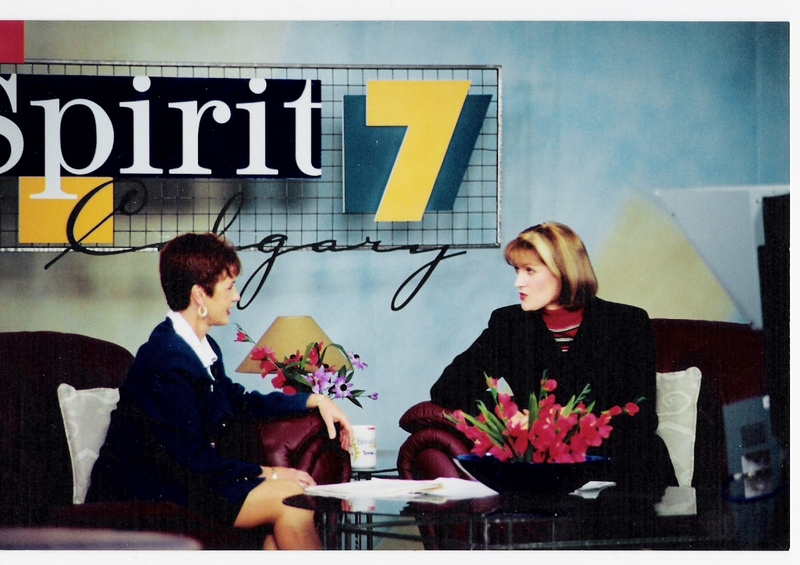 My funny accent got me a part on Global TV way back in 1996 – then known as Channel 7. Since then I have been doing the run up the Deerfoot every Tuesday morning – come hell or high water – and sometimes lots of snow and black ice – to bring the message of travel to the people of Alberta from as far north as Red Deer and as far south as Lethbridge. Can you ever quench the thirst to travel? That excitement of starting another journey, the anticipation of seeing how others live their lives in a completely different environment – there’s nothing quite like it. I always want to see what is around the next corner. Call me sick but I even like plane travel. Now that’s a new one. So I have accepted (quite gleefully I must add) that I am a completely hopeless case. 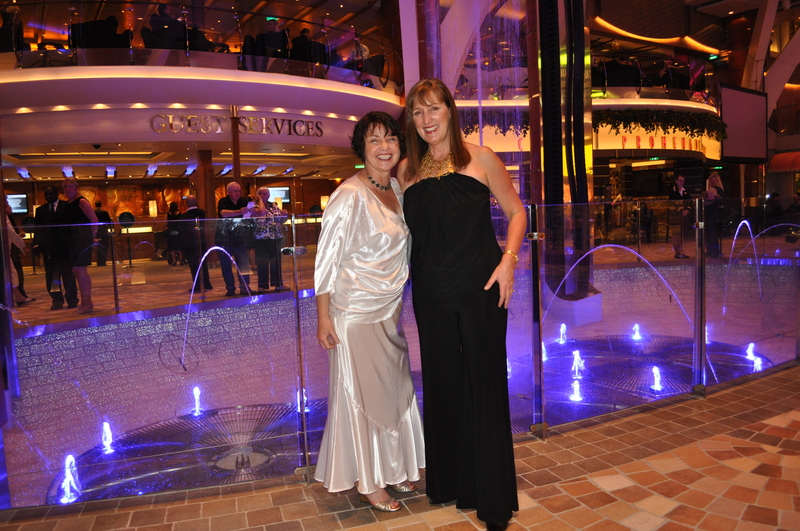 There is no help for me now but to chalk up frequent flyer miles, travel for 18 hours to spend 2 nights on cruise ship inaugural sailing, traipse around hotel rooms and bathrooms checking the linen, the ambience, the amenities (and maybe taking a sample or two home)…. Oh joy, I love it! And i thought i was the only one that was addicted to travel. I do the same thing, planning my next trip on the way home of the last trip. I find work is cutting into my travel life and there isn’t enough holiday time! That’s right Linda – there has to be a self help group for us somewhere! I’m happy to see you’re addicted to travelling and you don’t want go to rehab! More people should dare to take risks and change their lives, if they aren’t feeling happy and fulfilled. They should follow your example. Thanks for bringing spark of happiness and hope to my day!